I am writing this blog to share with you my passion for Israel and to help you explore historical, biblical and cultural sights that are “off the beaten path” in this beautiful country. If you are planning a trip to Israel and looking for interesting places to visit in Israel, this blog may prove to be a valuable resource. As you complete your visits to the main tourist attractions in Jerusalem, Tel-Aviv or Haifa, put down that Israel travel guide and join me for exciting excursions in Israel to historic and religious sites, national parks and numerous places of interest for children. To travel Israel by car is relatively easy as the country is laced with excellent highways and secondary roads, and most road signs are in English. To assist you, the maps at the end of each blog, should make your Israel trip hassle free. These will enable you to tour Israel to visit castles built by the Crusaders, caves inhabited by early man, archaeological remains of churches and mosques, Roman baths, wineries, great beaches, battle sites, outstanding cuisines, and important synagogues, all the while intermingling with a fascinating people…the Israeli. The sightseeinginisrael website is a virtual tour of some of the most interesting sites to see when traveling to Israel. My blogs are “off the beaten path” day trips, which will take you to places away from the major cities, yet within a 60 to 90 minute drive from Tel-Aviv or Jerusalem. As your personal Israel travel guide, I have created interesting and varied itineraries, from several hours to half day in duration. Our Israel tour by car may within minutes take you from that perfect Israel vacaction on a sun-drenched beach, to a winding road to explore a mountain top castle or to a beautiful and mysterious desert landscape. Though travel to Israel is perhaps best in the Spring and Fall, the itineraries I have created are appropriate for holyland travel at anytime of the year. As a native born Israeli, known as a Sabra, I am intimately familiar with sights in Israel that are especially meaningful to the first time tourist or the returning traveler. All the while, I will introduce you to out of the way places that are easily accessible, kid friendly, and important to all faiths. 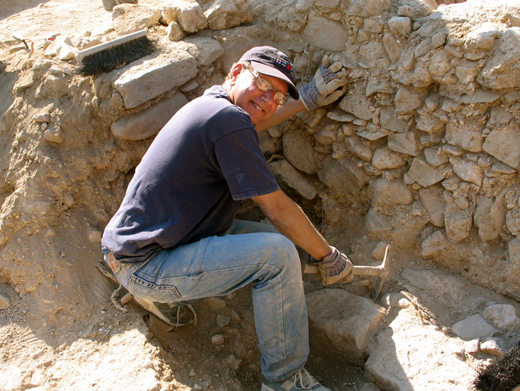 I have taken my own interest in archaeology, the bible, history and politics of the region, to write detailed blogs, which will permit you to thoroughly appreciate the places in Israel that you are visiting. You can then use the featured links to further explore other attractions in Israel or broaden your understanding of the holyland to make your Israel trip a truly memorable experience. I also urge you to contact me with questions regarding the creation of personalized tours in Israel, suggestions, pictures or any comments that you may have regarding your travel to Israel. Have a great time exploring “off the beaten path” places in this most fascinating country!